You are currently browsing the tag archive for the ‘Vacation or Second Homes’ tag. Can you afford to own a vacation home? If the answer to that question is yes, that’s probably the most obvious sign that buying a seasonal home is something you should consider. You never want to buy a home that will leave you drowning in debt. Remember, the purchase price is only part of the cost of owning a vacation home. You’ll have to pay utility bills, maintenance fees and insurance premiums. And depending on where your home is located, you could also be responsible for paying homeowners association fees. Do you have emergency savings (at least three to six months’ worth of take-home pay)? Can you make a 20 percent down payment? If you have kids, have you already put aside enough money for a college fund? Can you still put away enough money for retirement? Have you paid off your existing home? Have you calculated the potential return on your investment? Does it fit in with your long-term investment strategy and financial goals? Everyone’s situation is different. 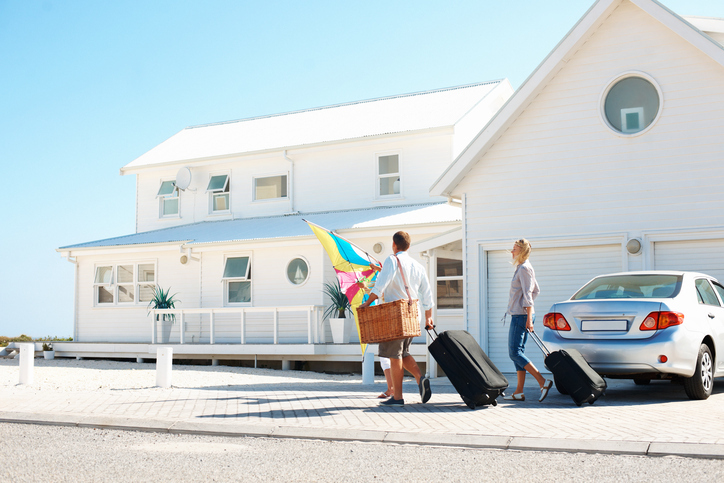 If you can answer yes to most of these questions, there’s a good chance that there’s room in your budget for a vacation home. If you’ve done your homework, that’s another good sign that you’re prepared to purchase a vacation home. When you’re visiting an area that might become the location of your future home, there’s nothing wrong with enjoying yourself; however, doing your research and taking the time to understand what the surrounding area has to offer is important. You’ll also want to make sure you visit during different parts of the year. That way, you can get a feel for what it’s like to live there during different seasons. Think about the short- and long-term implications of buying a seasonal home, especially if you plan to spend plenty of time there. When you retire, for example, the amenities included in a vacation home may take a backseat. Having access to a hospital and activities that improve your overall health and well-being may be critical. If you can keep up with what’s going on in the housing market, buying a vacation home might make sense. If you analyze changes in sales prices, you’ll be able to time your home purchase carefully, and you’ll be able to make the most appropriate decision based on seasonal demand, which drives home prices. In 2016, new, single-family home sales reached their highest level in a decade, although there was a decline in home-buying activity among vacation home buyers, according to a survey from the National Association of REALTORS® (NAR). A rising demand for housing and a shrinking supply of options has pushed up prices, making it more difficult for many people to purchase a vacation home. In 2016, the median vacation-home sales price was $200,000, up from $192,000 the previous year. Buying a seasonal home could be worth considering if you know how you’re going to use it. Maybe you view the home as an investment property that can serve as an additional source of income. Maybe you’ve decided that you’re going to find guests online through a website like Airbnb or Vacation Rental by Owner (VRBO). Keep in mind that if you intend to rent out a vacation home, you’ll need to think about advertising and logistics. You’ll need photos of your rental property and a detailed description of its amenities. You’ll also need a rental agreement and a plan for how you’re going to accept payments. Will you use a service like Venmo or PayPal, or ask guests to mail you a check? You’ll probably need to hire someone to clean your home and check for signs of damage and theft before new guests arrive. Hiring a property management company might make your life easier, but agencies often charge between 25 and 50 percent of your rental income. Rental income must be included on both state and federal tax returns. If you are renting out your vacation home or even a portion of your vacation home (e.g., a bedroom), you might be considered an innkeeper. That means you might be expected to collect the same lodging taxes that hotels collect and make payments to your county, city and/or state. In Fort Lauderdale, Fla., for example, among tourists who pay for lodging, a 12 percent tax is due. For many people, the decision to purchase a vacation home is serious. If you decide to take that leap of faith and you already have homeowners insurance, make sure you find out whether your current policy will cover a second home. Also, if you intend to rent out the property, consider purchasing rent loss insurance. It covers the loss of rental income following natural disasters and catastrophic incidents. Hippo is an InsureTech company that’s reimagining home insurance through the lens of homeowners, building policies with more comprehensive coverage for today’s consumers. Hippo Insurance is available to homeowners in 10 states throughout the U.S. and will be available to more than 60 percent of the nation’s homeowners by the end of 2018. 72% of vacation property owners and 71% of investment property owners believe now is a good time to buy. 33% bought their property in a beach area. Location, location, location!! We have some of the best beaches!! Plus we have music venues, a multitude of sports options, first rate museums, art venues, waterfront festivals, brew-pubs, incredible restaurants and much more! Think St Petersburg, Florida; Clearwater Beach and the Tampa Bay Area!! This is an interesting report. Quite surprised to see that Miami doesn’t have the top slot for the first time this year. St Petersburg-Tampa-Clearwater have moved into 11th place. Nice! Where are international home shoppers looking in the U.S.? Each month, we assemble our International Demand Report, examining which metros garner the most interest from international users on realtor.com®. Miami was ranked #1 during both February and January this year. As we ease out of the grips of winter, international buyers may be more willing to look beyond the dreams of beaches and vacation life offered by Miami. Miami has dropped to rank #4, and Los Angeles moves into the top slot. The last time Los Angeles was ranked at #1 was from September to November last year. Despite this slip, expect to see Miami bounce back in the coming months. It’s not common to see too much of a shift in the top ranks of international demand. So it was a bit of a shock when the Detroit metro area jumped 24 spots all the way to rank #2. Such a drastic jump warranted additional investigation. We tracked the activity down to a listing that went viral on social media which bolstered traffic from Canada and the UK. However, even when we went back into the data and removed the traffic directly related to that listing, we saw that this listing generated substantial residual traffic to the rest of the Detroit area. It’s this residual traffic that ultimately propped up Detroit this month. Explore these trends and more on our international demand page. Pinellas International Council 6th Annual Global Symposium-Thank you to David Bennett CEO of PRO, John-Paul Mario Chair of the PRO Business Affiliates, Susan Inez-Poskus CPA from Roberge Poskus, Maria Grulich from Florida Realtors, Bill Risser, VP of Digital Strategy from Fidelity National Title, Don Gonzalez Attorney, Carlos Fuentes NAR instructor, the nearly 100 attendees and all of the PRO Affiliates who sponsored this informative event. Thank you all for making this such great day! !